The HRD ministry is drafting the New Education Policy, 2016. What do the children want in it? A motley group of children from different states came together in Delhi to give their suggestions for the New Education Policy, 2016, which is being drafted by the HRD ministry. The 16 children from diverse social backgrounds were participants in a 4-day workshop organised by Praxis-Institute for Participatory Practices along with other NGOs working in the education sector. Titled \'Shikshagiri\', the workshop included three days of extensive discussions with and among the children about their educational experiences and needs. On Tuesday, the final day of Shikshagiri, the \'ground level panel\' of these children made a presentation with their inputs for the education policy. The ministry has invited suggestions from the public until 15 August to fine-tune the policy, the blueprint for which was prepared by TSR Subramanian Committee. A 43-page version of the draft policy is available online. While the government has consulted stakeholders such as teachers, experts, administrative officials and even parents, the only party that seemed to have been left out were the children themselves. Hence, the aim of this workshop was to include children\'s voices in the drafting process of the policy. The children demanded that the government ensure free education in its schools across the country till class 12 as a large number of children come from families that cannot afford to pay the school fees or even buy books and uniforms. 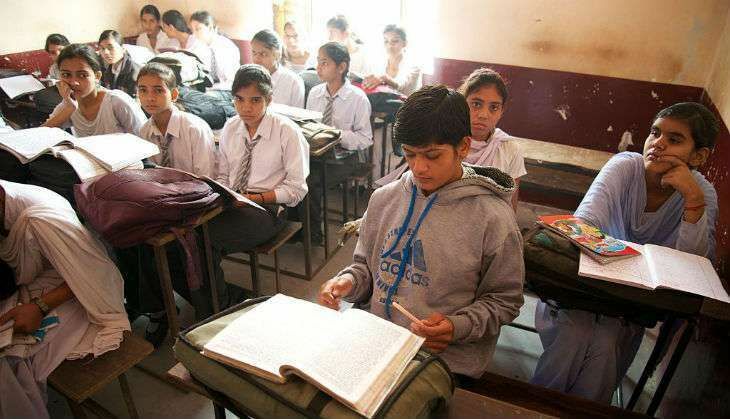 They said there was no point in providing free education only till class 8 as economically marginalised parents still cannot afford to pay when the child reaches class 9. Children from nomadic communities who lack identity documents find it difficult to get admitted in schools. Ajay, 18, who is from a nomadic tribe, talked about the problems and discrimination he had faced. Also, children of migrant labourers who lack residence proofs cannot get school admissions in Delhi. Therefore, such children should be enroled in schools anywhere in the country without identity and residence proofs. Juli, a visually-impaired girl from West Bengal, made the case for an inclusive and supportive education system for differently-abled children. The children asked for special educators and disabled-friendly infrastructure in all schools. Nandkishor, a class 9 student from Rajasthan, spoke about his experience of caste-based discrimination in the classroom, while others talked about their experiences of discrimination based on gender, religion and tribe. The panel called for an end to all discrimination and for ensuring equality among all children. Also Read: RS passes Child Labour Amendment Bill. Will children's condition improve? Narender, a class 12 student from Haryana, spoke about the importance of including knowledge of agriculture and nature in textbooks, while all kids asked for including sports and cultural activities in school curricula. Girl students talked about the gender stereotypes present in the description in textbooks. Giving the example of women being described in some books as doing the household work and men going out to earn, they stressed the need to break such stereotypes.